October is Domestic Violence Awareness Month (DVAM) and at Allstate, that does not go unnoticed. 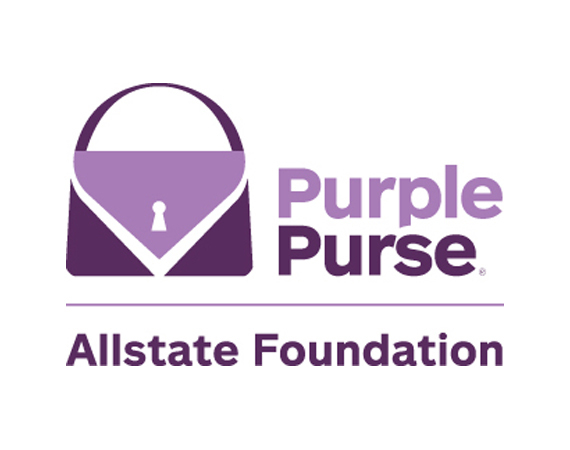 In fact, it turns the spotlight on one of the causes The Allstate Foundation advocates for all year and coincides with the organization’s annual Purple Purse Challenge dedicated to raising funds to provide life-changing services for domestic violence survivors. The Allstate Foundation, an independent charitable organization made possible by subsidiaries of Allstate, committed to putting the company’s financial expertise to work to help end domestic violence and financial abuse back in 2005. That was the start of the Purple Purse program which is focused on ending domestic violence by addressing the financial abuse trapping 99% of victims in homes that feel more like prisons. In the past 12 years, the Foundation has served more than 1 million domestic violence survivors, guiding them to lead safer and financially secure lives. Ellen, a senior manager who works specifically on Purple Purse, has seen the impact of the company’s involvement. When she started on the Purple Purse team, she admitted to not knowing a whole lot about the issue. What she has learned the most though, is that it’s happening everywhere. “It’s not always ‘over there’,” she says, “it’s happening to people we know. And, this isn’t just a ‘women’s issue,’ it’s a societal issue. As I’ve come to understand how pervasive domestic violence is, it’s obvious we can’t just ignore it. I’m lucky to be in the role I’m in because I can have an impact and continue encouraging public education and awareness around the issue.” Ellen feels proud of the work she’s doing, knowing that every day, she contributes to something so important. Throughout the rest of the month, we will be highlighting stories related to Purple Purse and Allstate’s commitment to breaking the cycle of domestic violence. Look for the Purple Purse logo (image shown at top) throughout the month of October and check back weekly for our next story. To learn more about the Foundation and the Purple Purse Challenge click here. Allstate is gearing up to return to the Grace Hopper Celebration of Women in Computing, the world’s largest gathering of women technologists, beginning tomorrow. This year’s event is being held in Orlando, Florida from October 4 through October 6, with more than 60 Allstaters joining the 15,000 conference attendees for three days of learning, networking and mentorship. The event is presented by the Anita Borg Institute for Women in Technology and the Association of Computing Machinery in honor of Admiral Grace Murray Hopper, one of the first programmers in the history of computing. The conference brings the research, innovations and career interests of women in tech to the forefront and provides a platform for leading women technologists to share their experiences with younger generations. Allstate is very excited to share how, together with their employees, they have evolved from a traditional insurance company to a leading technology company. The enterprise tech and innovation teams are developing new products and service offerings on an ongoing basis to better serve customers in the digital age, like Drivewise and Quick Foto Claim. 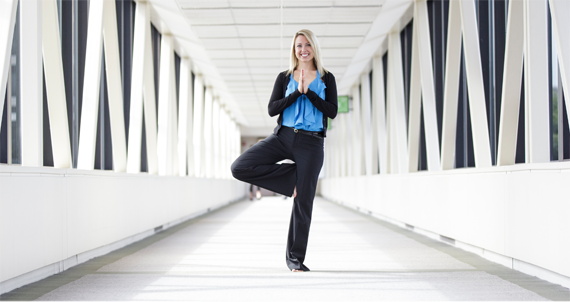 Two of Allstate’s top female technologists will be speaking at the conference. Darshana Shetty, an Oracle database administrator, will share her experience during the conference and Pat Coffey, the senior vice president of Delivery & Risk Management, will be the keynote speaker at Allstate’s networking breakfast. 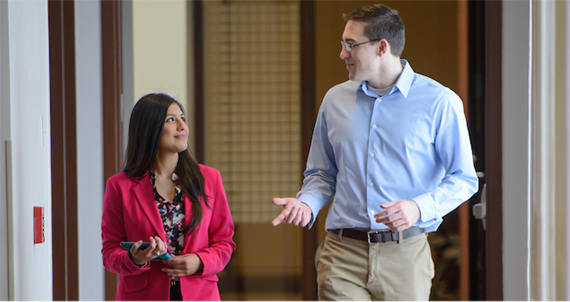 Both Darshana and Pat view Allstate as more than just an insurance company. They recognize the critical value and important of being part of the Grace Hopper Celebration and promoting the ways technology is moving the company forward. Both are proud of the fact that Allstate was named among the Top 10 Innovators of the Decade by InformationWeek. 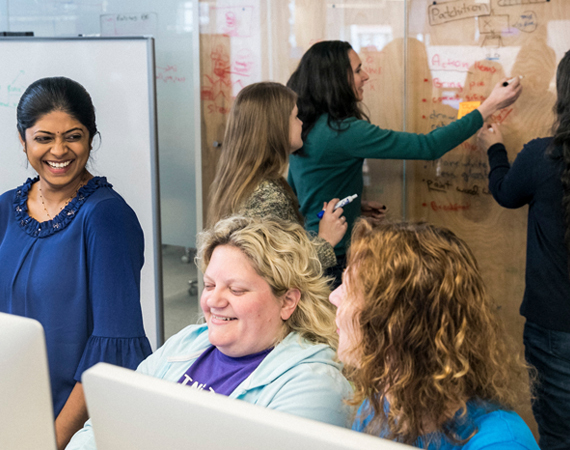 Driveristy is a hallmark of Allstate’s culture and, as female technologists, Pat and Darshana understand the importance of fostering diversity in the workplace. 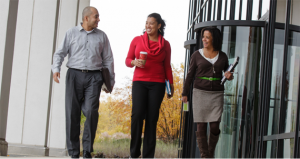 “Research has repeatedly shown that inclusive diversity contributes to both the satisfaction and engagement of employees as well as improved company results. The Grace Hopper Celebration creates an opportunity for talented women to learn more about Allstate’s technology innovation, commitment to inclusive diversity and community involvement,” said Pat. If you’re attending the Grace Hopper Celebration in Orlando, please come meet Allstaters at Booth 1920. 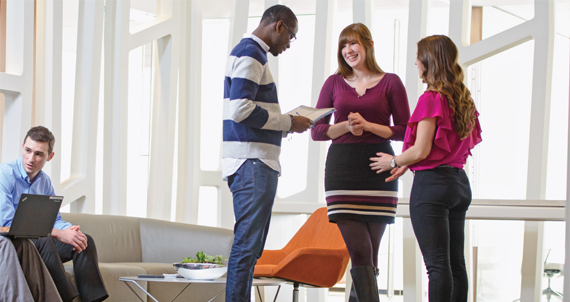 If you would like to learn more about technology roles at Allstate, please click here. Ready to apply? Join us today.